Honda has taken the wraps off its Sports EV concept at the Tokyo motor show, a striking electric sports car with clear production intent. 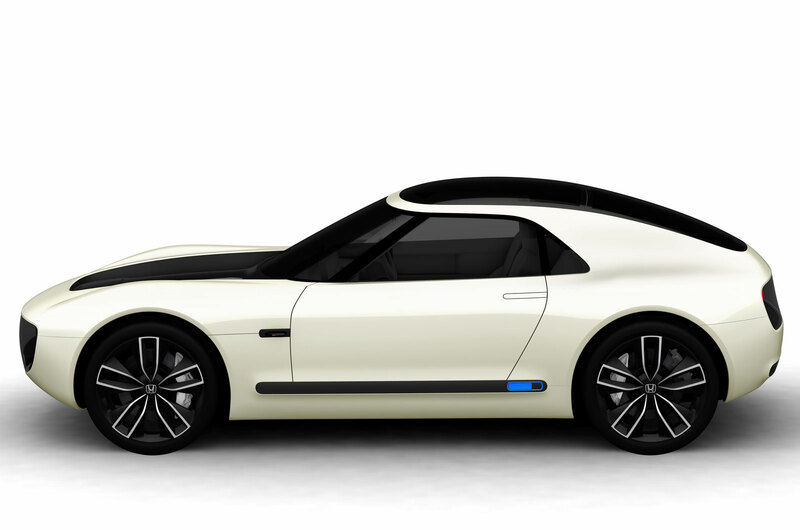 The compact sports car concept is the second model to be previewed on Honda’s new dedicated electric car platform, after the Urban EV city car from the recent Frankfurt motor show. Honda is keen to create a family of electric cars off the new architecture to achieve economies of scale. The Urban EV will make production in 2019 as the first model in the new family. Honda has increased its amount of sporty offerings in recent years, and creating a car such as this would be a clear signal that it will continue to do so in the era of electrification. The brand already has an electrified supercar, of course – the NSX – so it is no stranger to the technology. No other car maker offers a model anything like the Sports EV at present, and if Honda can turn around the concept from production as quickly as it will the Urban EV, it could have the Sports EV in production for 2020 – well ahead of any rival. It would join the NSX and Civic Type R as one of Honda’s flagship performance offerings, as well as the S660 mid-engined, rear-wheel drive kei car on sale in Japan only. The NSX and S660 both started out as concept cars that went on to make production, so Honda has recent experience in seeing its sports car concepts through to production. Honda has kept an air of mystery around the specifics of its new concept, however, including its powertrain. The firm says it “combines EV performance and AI inside a compact body”. The intention of the concept, according to a brief Honda statement, is for the driver to “realise the joy of driving… with a sense of unity with the car”. 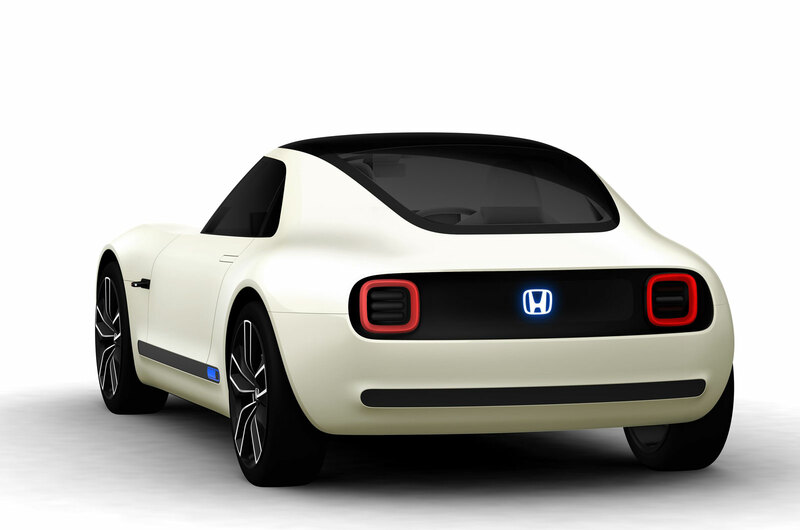 The concept borrows its main design themes from the well-received Urban EV concept, the design of which Honda has said will make production largely unchanged. The Urban EV was 3895mm long. The Sports EV seems a little longer, close to the 3950mm of the Mazda MX-5, which is the best indication of the footprint of the Honda, albeit with different proportions. Honda has retained classic long bonnet, cab backwards proportions of a front-engined, rear-wheel drive sports car into the electrification era. Honda has already committed to having an electrified version of every model in its range from now on, announced in a more low key way than rival firms. In Europe, Honda hopes to have two thirds of its new car sales using electrified technology by 2025, five years earlier than its overall global goal. No specific powertrain details were given for either the Urban EV or Sports EV concepts. Honda said the Urban EV featured a high-density lightweight battery pack, integrated heat management and energy transfer functions both to and from the vehicle, and the same technology would appear to feature in the Sports EV too. Honda sources had suggested a range of around 150 miles for the Urban EV concept, so something similar should be expected for the Sports EV. That’s down on the typical 300-mile range being quoted by rival firms with their electric offerings, although Honda’s electric concepts have been small city car-sized where big range is less likely to be an issue.